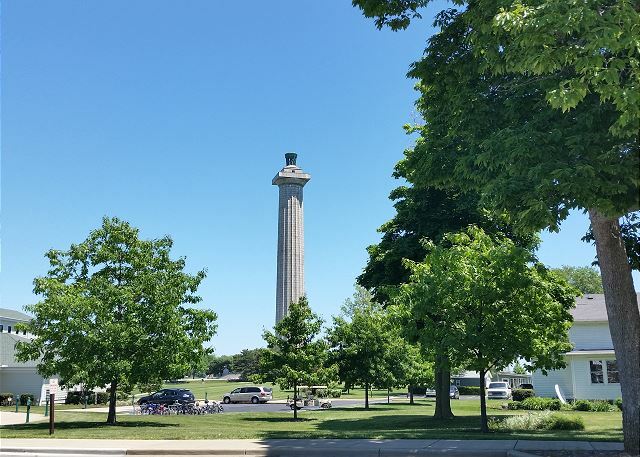 Lake Erie and all of its glory are steps from this great unit at the Put-in-Bay Poolview Condos. 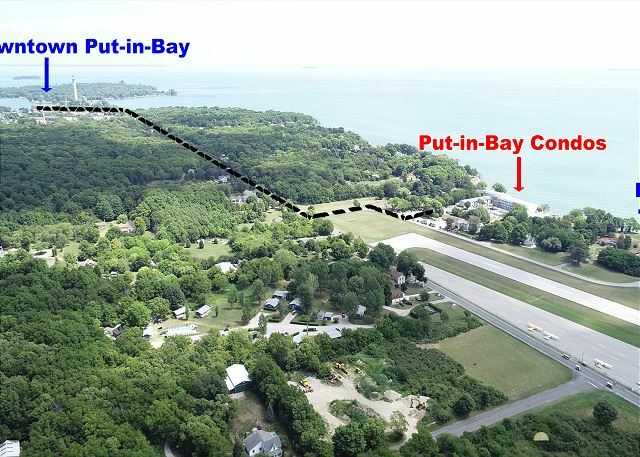 This prime location features three and a half acres and over 500 feet of prime lakefront property. Just a mile from downtown. 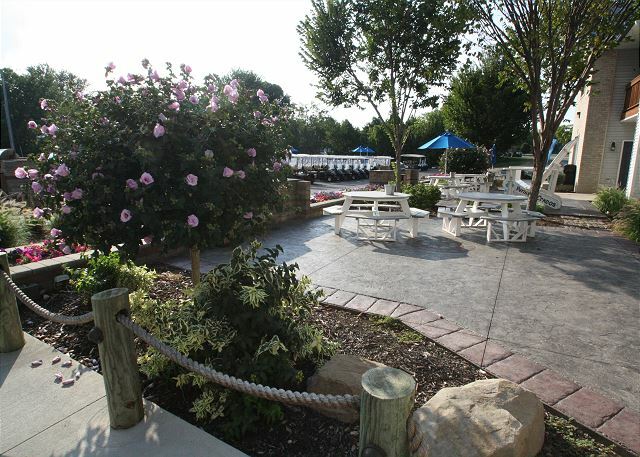 A lakeside pool, large grassy area and dock complete this great area. Stepping inside the condo unit, guests are welcomed to a lovely open plan. 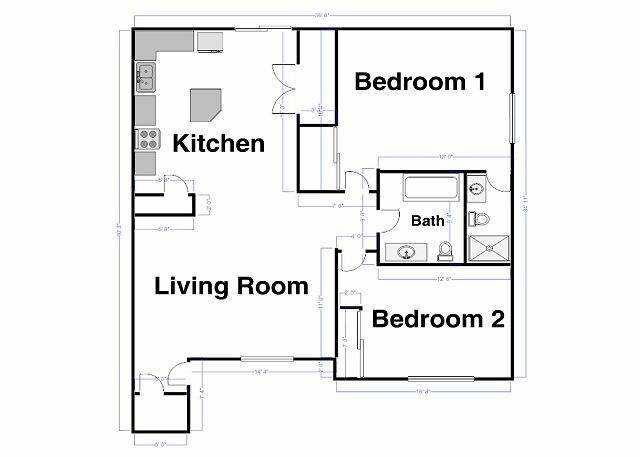 The kitchen, living and dining spaces are combined, giving the unit great flow and ease for entertaining. All the items you will need to prepare and serve a meal can be found in the kitchen. Making a few meals during your PIB getaway is an excellent way to save some money while on vacation. 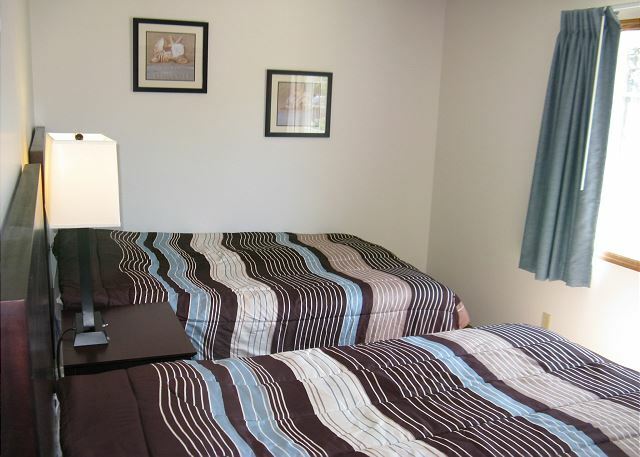 There are two bedrooms and two full bathrooms in this condo, with sleeping for up to eight guests. 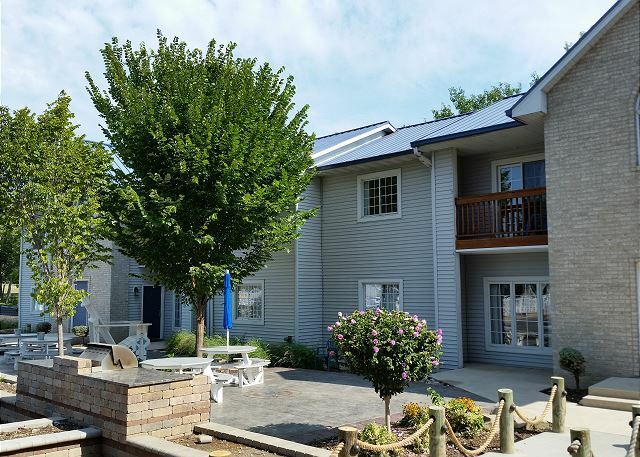 The Put-in-Bay Poolview Condos on the shores of the Lake Erie are a great place to call home during your next trip to the islands. With a superb location and comfortable accommodations, the choice is quite clear. 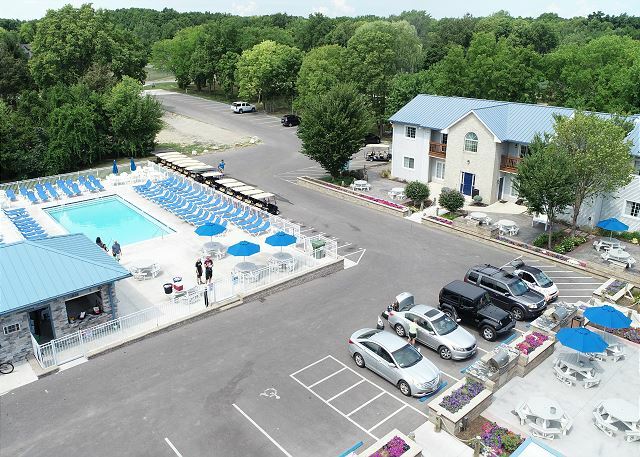 This unit can be rented with adjoining units to house your large group. 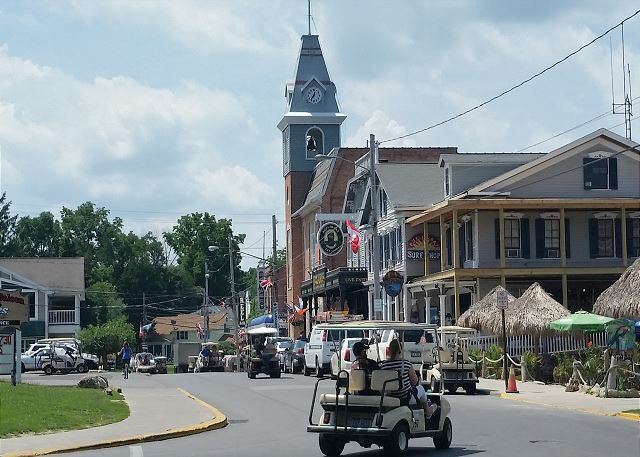 Also, taxi service is available to take your group anywhere on beautiful Put-in-Bay. 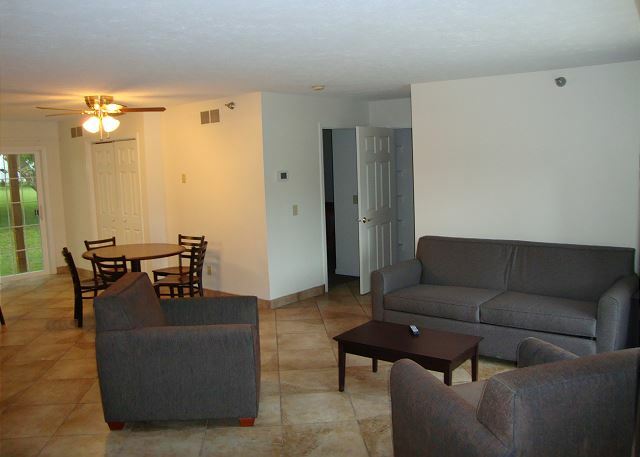 "Condo was great and great location. My husband and I stayed in June and decided to go back in September to take our son. Liked the condo so much the first time we stayed there again. 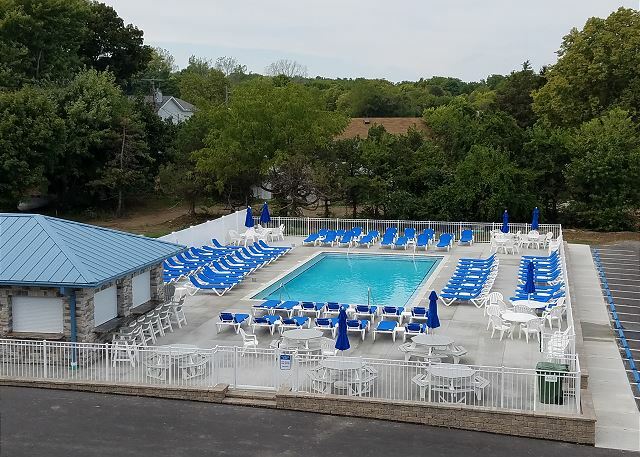 The pool was extremely clean." "The condo was great. Exactly what we were looking for. The pool was cloudy and I had an allergic reaction (the chemicals might not have been set right). Everything else was awesome! " 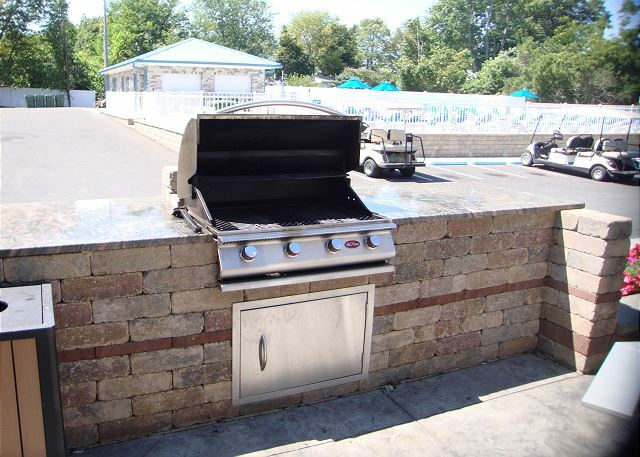 "The grilling area and the kitchen were the best and roomiest. The condo #5 for 8 was realistic and comfortable. Didn't expect the hefty staircase (#5 and #6) to lug all our supplies - but doable. The "pool-view" was barely that. The pool was fine, but closed at 7pm. The balcony was roomy. The keypad entry was fantastic for all guests coming and going freely. No "WIFI" as advertised and ironically when we called "Dottie" as stated in the instructions for problems - she returned the call saying there was a recent storm which no one in the area witnessed. Also, I read in a previous review there was no WIFI in 2015 either - definitely a $$ concern there - should credit patrons who didn't have. Didn't expect to get woken up by construction right outside our window ( or shall I say drywall - as it was covering the master bedroom window completely). 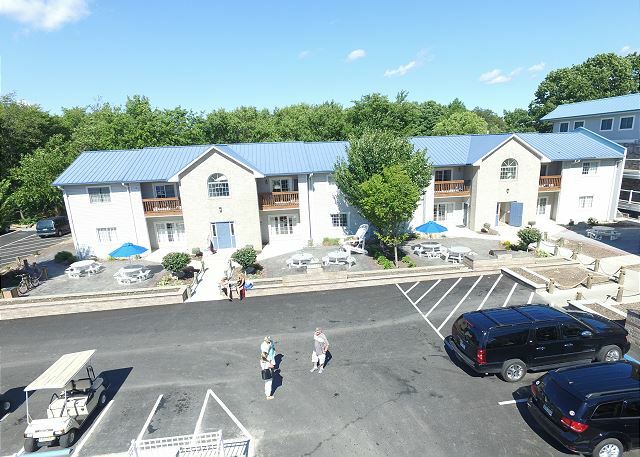 Overall, close to Miller Ferry and golf cart rental and new Muscle Fitness gym. We would definitely stay again - just knowing all this going in - will help others." "Overall, a very good experience. Despite issues with the weather on Friday, we still had an excellent time and I was extremely satisfied with how they handled the weather situation." "Every thing was great except the parking! I know fishermen do not represent the majority of business. Parking is now terrible and electrical outlets are rare." 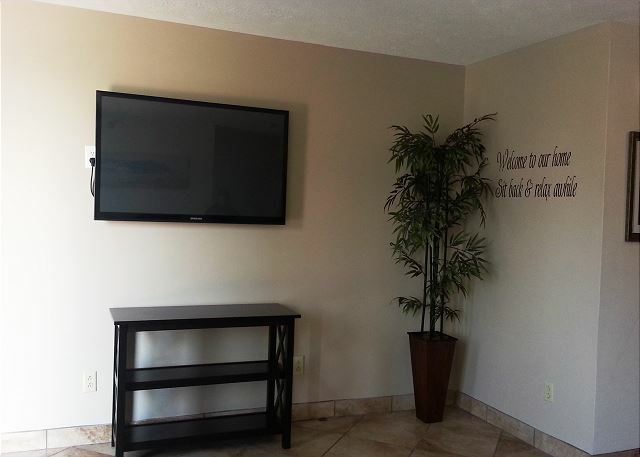 "We were very surprised when we arrived and saw a new building directly attached to our condo unit. Our view was gone, but the new condos are lovely." "My family enjoyed the condo for the weekend. We enjoyed the location. Looking forward to see how the new condos are going to change the property. Also I wish I would have been told sooner about the construction. A chance to cancel or a bit of a refund would have been nice. I was offered another property and it wasn't as nice or at the lakefront. Will return to see what it will be like without bulldozers and large piles of dirt, temporary fencing and dust." "The condo is in a great location, very quiet and comfortable." "It was clean. Sliding glass door window needed cleaning. I did it. Walls need a magic eraser and wiped down. Wish I would have been informed there are no bath mats and absolutely no cleaning products. We had 4 rolls of toilet paper, one roll of paper towels and two garbage bags, small amount of dish soap. Had I known I would have prepared better. Luckily I brought a roll of paper towels, a dish towel, Lysol and Lysol wipes. But that is just me and my cousin and our personal preference for cleanliness." Well equipted with 2 grills. 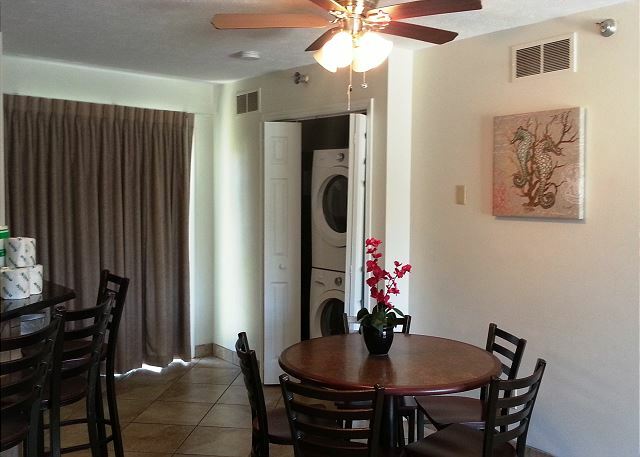 The condo was perfect for 2 couples, as there were 2 bedrooms & 2 baths. The kitchen was clean & granite counter tops." "The experience was satisfactory. I would have preferred: 1) More information on the linens/towels. They were left in an obscure corner of one of the rooms. We did not find the towels until the second day. Sheets were small for the matress and we suggest fitted sheets. 2) I was told we would have first floor accomodations. Instead upon arrival we discovered 2nd floor was where we were located. Not a big deal other than moving in and out. Master Bathroom Shower had a broken handle. The facility was short tiolet paper and, trash bags and paper towels." "Very good for a bachelor party!" 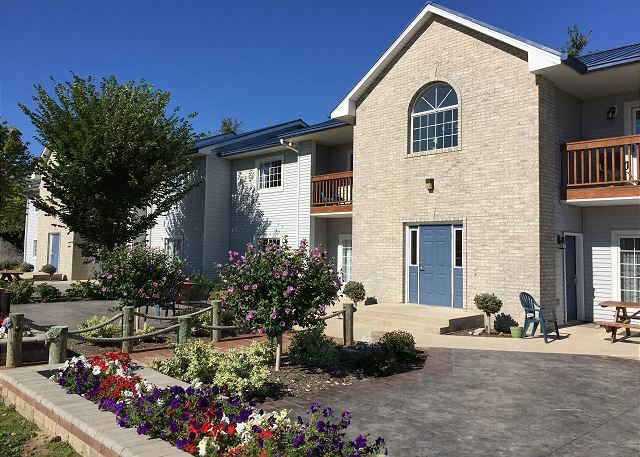 "Our condo was clean, secure, and the kitchen has plenty of cups, dishes and utensils in the cupboards as well as pots and pans which meant there was no need to eat out the entire stay. 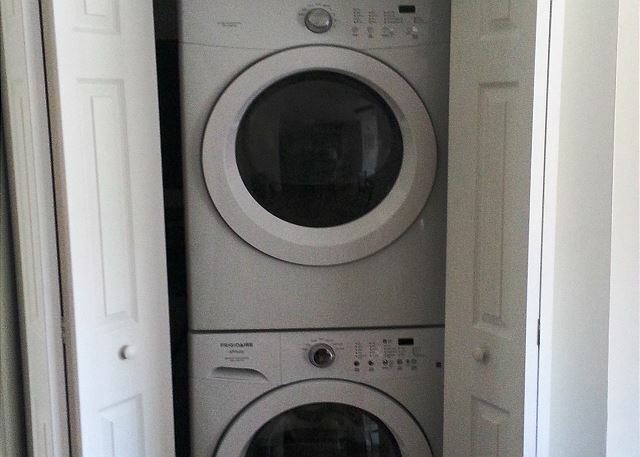 There is also an in-suite washer and dryer. There's a wonderful view of the lake, a pool, and a small pier to fish off. 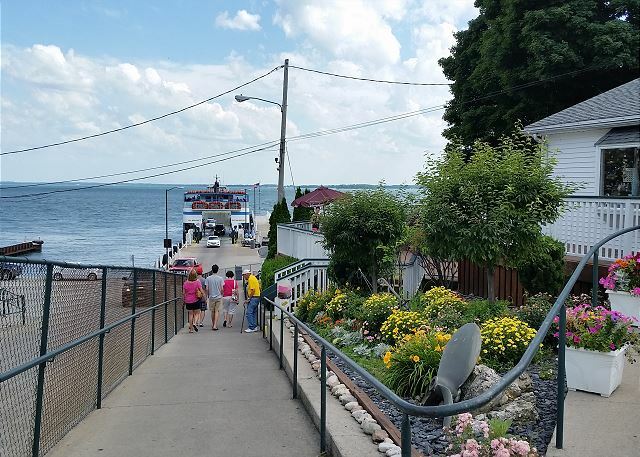 It is also minutes from Miller's Ferry which made arrival and departure super easy and convenient. I highly recommend a stay here. " "The renovations done to the property are very nice and comfortable." "Very nice but difficult to locate"
"We had a very nice time. The pkace was very clean, quite and spacious. Didnt use patio due to may flies by the thousands. Otherwise nice property as well." "Got together a few girlfriends for a weekend at the Bay! Condo was so clean and spacious! We all had a great time! Would definitely stay again!!!" 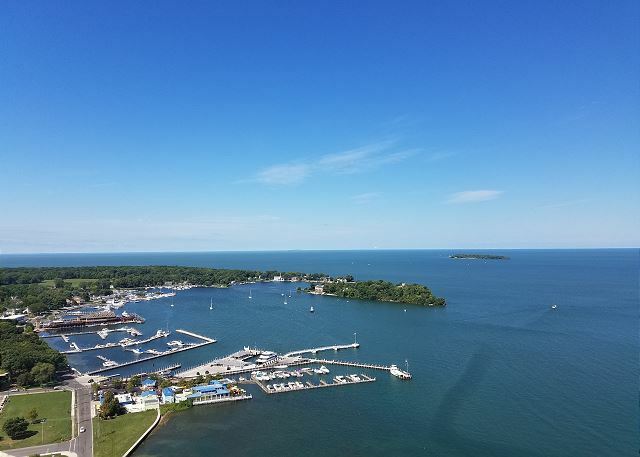 "Our experience at the Island Club Condos was everything we expected and more. The condo was beautiful and brand new. It exactly like the pictures shown on the website. Everything was clean and the location was absolutely fantastic. We had a group of 8 staying in the condo for 3 days and not one of us had one complaint. We cannot wait to come back next year!" "Great spot for a girls weekend away! Loved the pool near the lake too!" "We enjoyed the stay Inside - believe there were some maintenance/upkeep issues that should be addressed (mostly cosmetic). 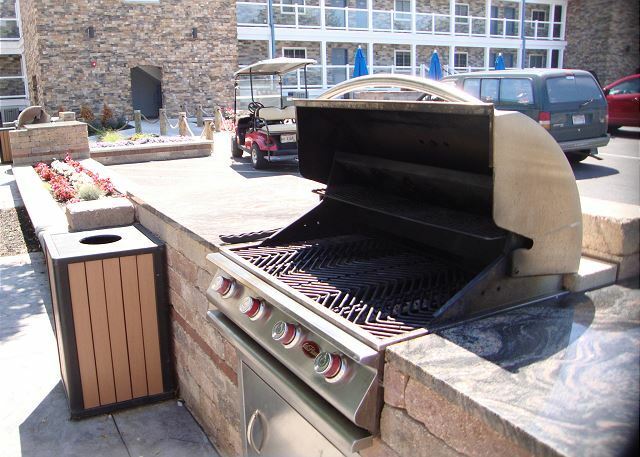 Outside - Gas grills need cleaned and maintenance - Also trash by water and pier should be cleaned. Could be a nice area to picnic." "very good, nice place, clean, nice people." 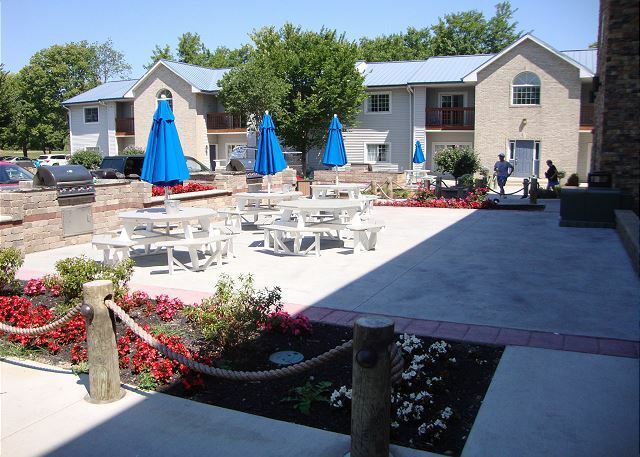 "This group of condos is in a lovely location on the island with a pier out to the lake and has a pool. 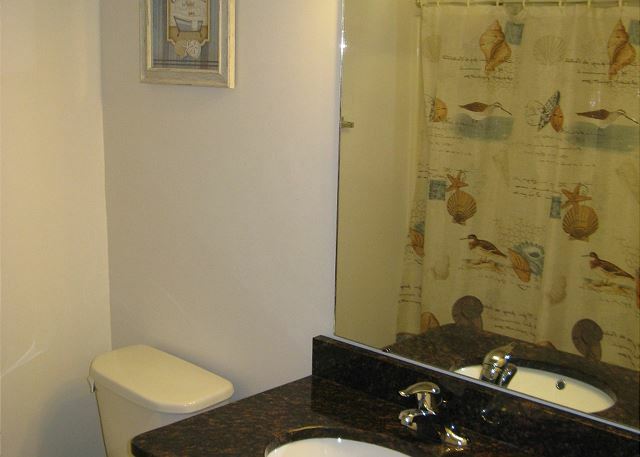 The condo is large, spacious and nicely decorated. The only issue was that sheets and towels are "optional" which we were unaware of, and had to pay $100 extra to get them. Now that we know that, we will bring our own and will definitely stay here again!" 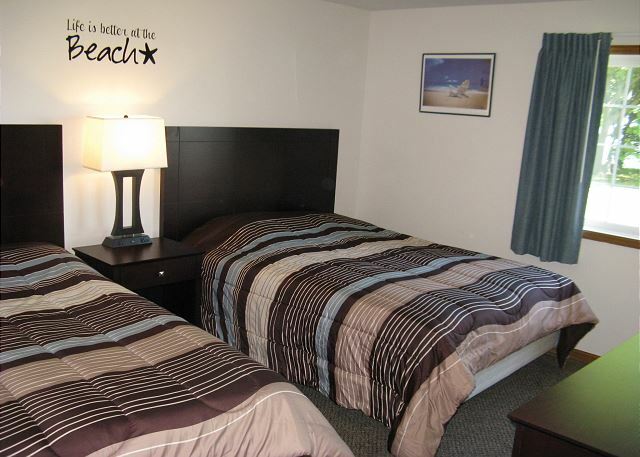 "4 kids and 4 adults stayed very comfortably at the condos. 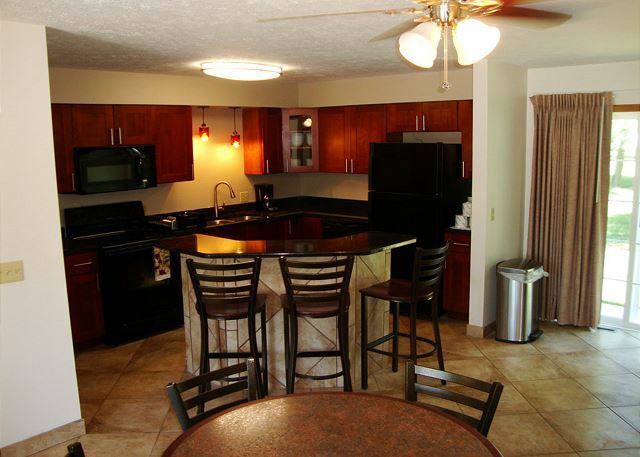 Condos were clean, spacious and had all the essentials to cook and stay. They are difficult to find because there is no signage - turn on the road right after the airport and keep an eye out for the condos which are tucked in the back at the first left. Other than the difficulty finding the place, everything else was 100 percent wonderful. Pool? View of the lake, working cable tv. Perhaps one of the best places to stay on the island. Suggestions to bring extra trash bags and a scraper/brush to clean off the bar b q. 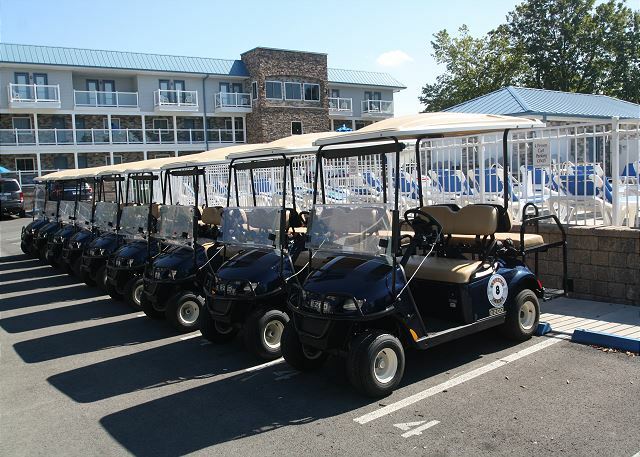 Rent the golf carts for your entire stay. 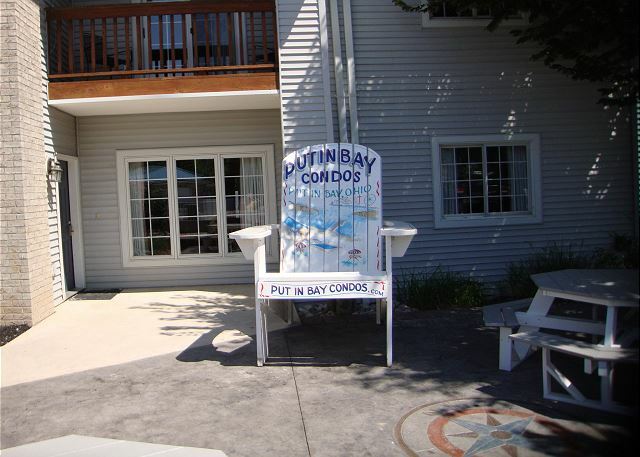 They are a lot of fun and the easiest transportation around the island "
"We were very pleased with our stay at Put in Bay Condo #5. 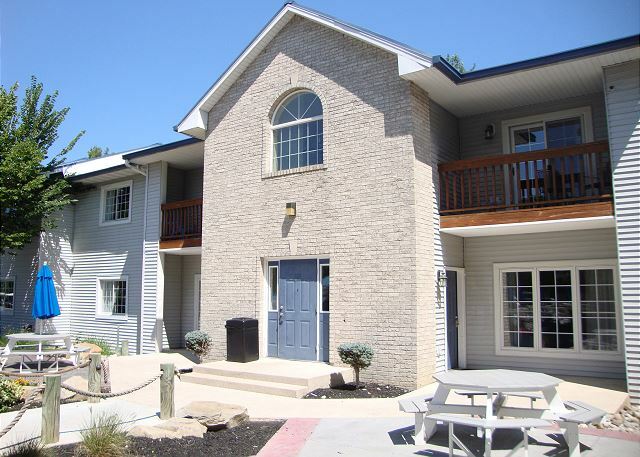 The condo was in excellent condition and the location was perfect! 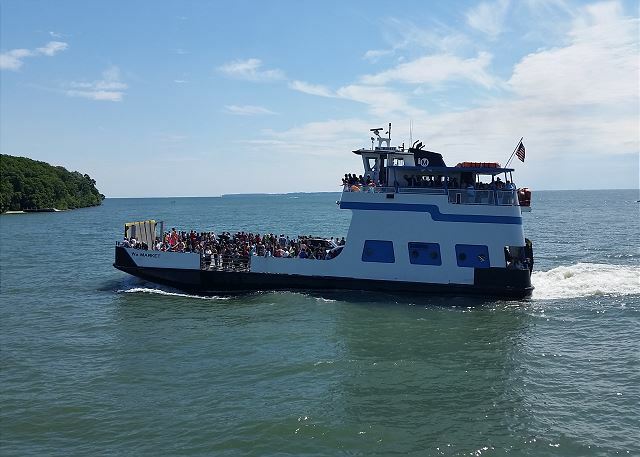 Only a 3-minute drive from the ferry and about a 5-minute drive from the main downtown area. The only issue we had was the pool wasn't well maintained. It was very dirty during our 3-day stay and when someone finally came out on our last day they were going to have to shock it. But this didn't take away from our great stay. 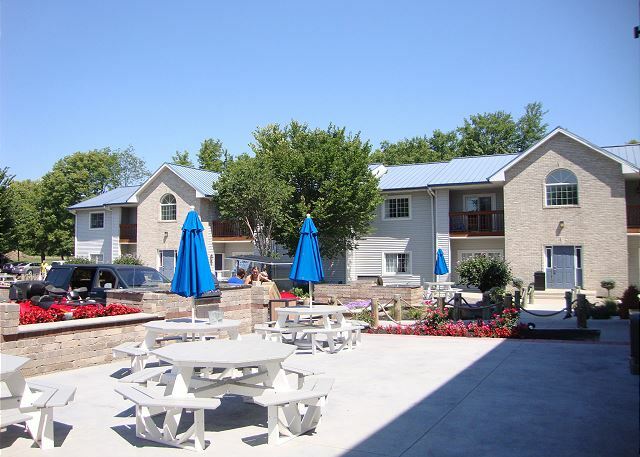 I would definitely recommend these condos to others and we plan to come back next summer!" "Island Club is fairly disorganized and somewhat difficult to work with. 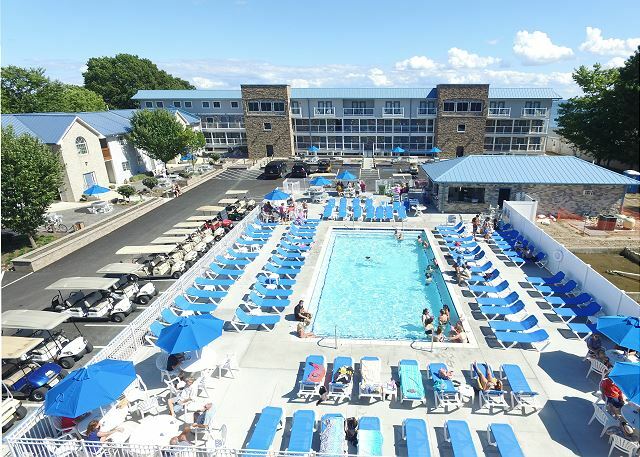 Was quoted with a price for a holiday weekend, then when booking the reservation, they booked the wrong days, and added about $300 to the price. It took 6+ calls back and forth to get it sorted out. Once we actually got there, it was somewhat difficult to find where the actual condo is, since it's not located near the actual Island Club. Condos are newly updated, and gorgeous on the inside. The grills were kind of a mess, but still usable. 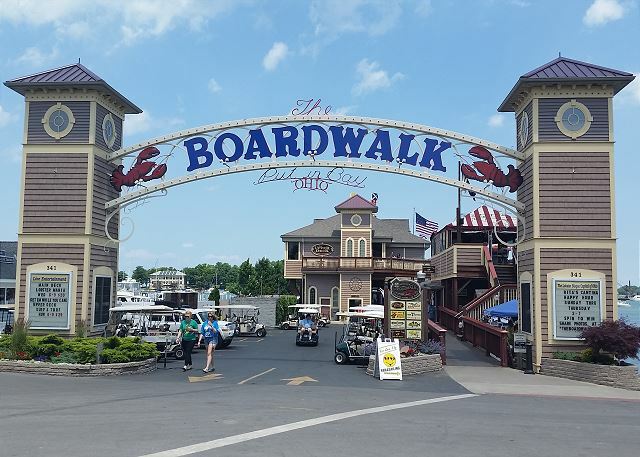 The condos are close to the ferry and about a 25 min walk to downtown (if you are like us and didn't rent a golf cart or taxi) Highly recommend getting lobster bisque at the Boardwalk, it is fantastic!" 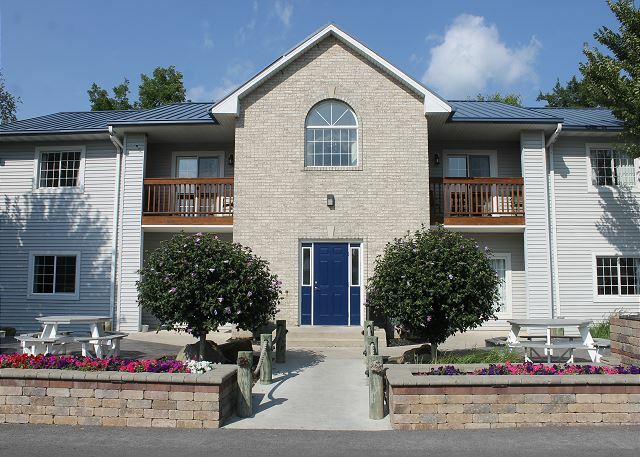 "Our second stay at this property and we had a balcony condo this time. Lovely to sit outside with coffee in the morning and a drink in the evening. Glad we brought some fold up chairs - a bit more comfortable than the metal chairs provided. Cleaning staff could have done a little more thorough job, and there were a few broken handles in the kitchen. But this is nice quiet location and we will go back again!" "The condo is a nice building and easy to get to although I wish you could provide a better fish cleaning site"
"continues to impress! You guys do a great job, and value of what I get for my moeny is unparalleled. thanks again Island Club!" "We really liked the condos. They were very spacious and clean. Very nice and relaxing for the few days we stayed for our honeymoon. Our only complaint was the site said each condo has cable tv and none of them do which was a little disappointing because my husband couldn't watch football. Other then that everything was great we will definitely be goin back again." "Very Enjoyable...Loved every minute...See you NEXT YEAR!" "We had a great time. Every place was booked on the island and I just kept calling the Island Club and lucked out with this place. It was nice and roomy and we had a great time. The pool could have been a little cleaner but that's ok. Island club was great to work with. " "Great place to stay. We really wished there would have had been cable or satellite tv for bad weather days & also Wifi. Condo was beautiful, there were a few fixtures missing (light globe, tile trim, washcloth bar in master bathroom that let in cold air). A bike rack would be a great addition. Overall it was a beautiful place." 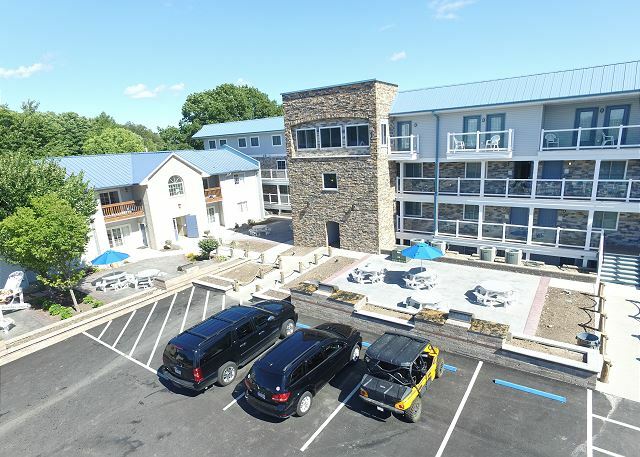 "There was just one hiccup on the reservation process in that condos 2 and 6 are owned individually and the code wasn't correct to enter the condo. 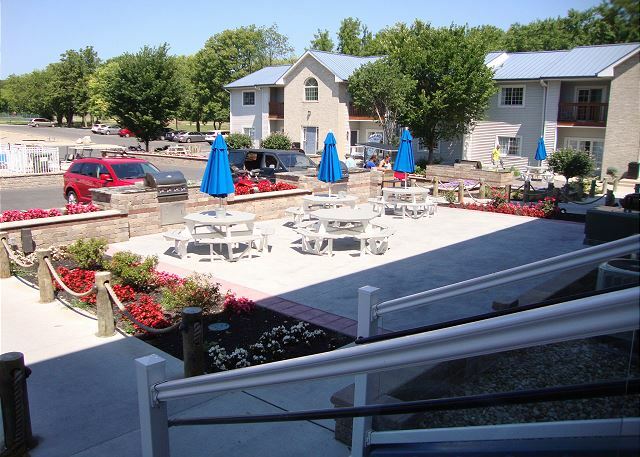 Otherwise our stay was perfect for the group we had (family reunion)." "Pretty condo in a beautiful setting. Close to all the action but in a more private and relaxing setting. Can't wait to go back." "We will definitely come back. Impressed with the cleanliness and great location. Away from the crowded center of town. Thank you! "Had a good time, wish linens were there when we arrived and also fitted sheets would have been nice. For being a new place and the price I believe items should have been fixed ie towel bar in shower and base moulding along tub was missing looked bad and outlet in main bath not working. Enough of the bad. Over all we did have a good time and the condo was clean and ppl were very friendly. Would recommend this place and might come back in August just me and my wife!!! Any deal in mid August ? " 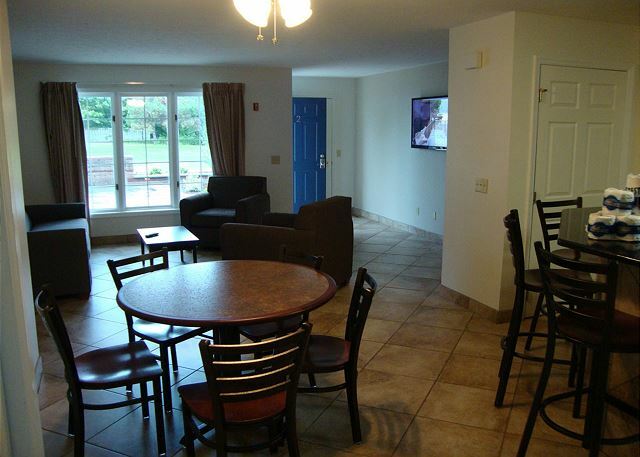 "WE thoroughly enjoyed the condo, the view and the pool. many thanks." "Fabulous property away from the downtown bustle. Too far to walk to downtown. Mgmnt. needs to provide hand soap and dishwasher detergent. Other than that, its a newer property in great condition." We supply our own towels and linens, Do you provide pillows and blankets? Yes! All beds have pillows and comforters.